With the smell of charcoal and steaks filling the air, it’s time to match the beauty of nature with new additions to your outside environment! Spruce up your outdoor world with these top products from Klockit. What better place to start than with the entry way of your home! 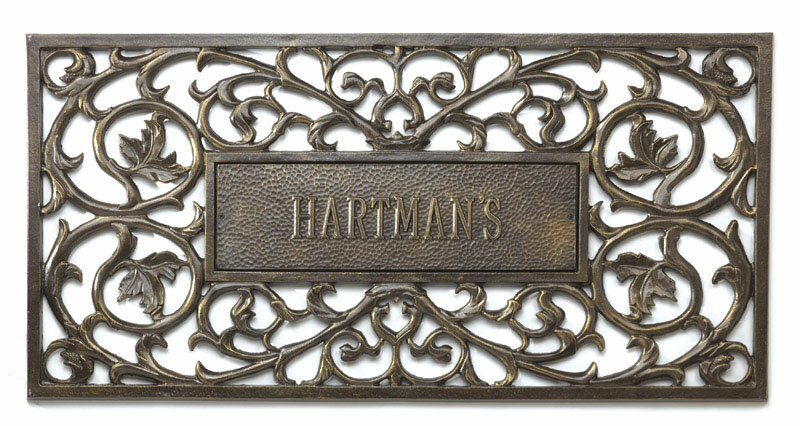 Personalize your entry way with a hand-cast, rust-free, aluminum doormat. This mat is 36” long x 18” wide x 1” deep, and can withstand the elements that mother nature throws its way. The French bronze color lends itself to any décor and is sure to provide a warm welcome to your guests. Turn on one of these patio heaters to kick cooler weather to the curb! Comfortably entertain on your patio or in the backyard with the help of one of the Endless Summer stainless steel patio heaters. These patio heaters create the perfect ambiance for you and your guests when the sun goes down. Operating via a propane grill cylinder, these patio heaters heat within a 20 foot circle and require no electricity. Makes a trendy addition to any patio or backyard! Artistic yet durable, this outdoor wall clock with thermometer features highly accurate quartz movement timekeeping technology. 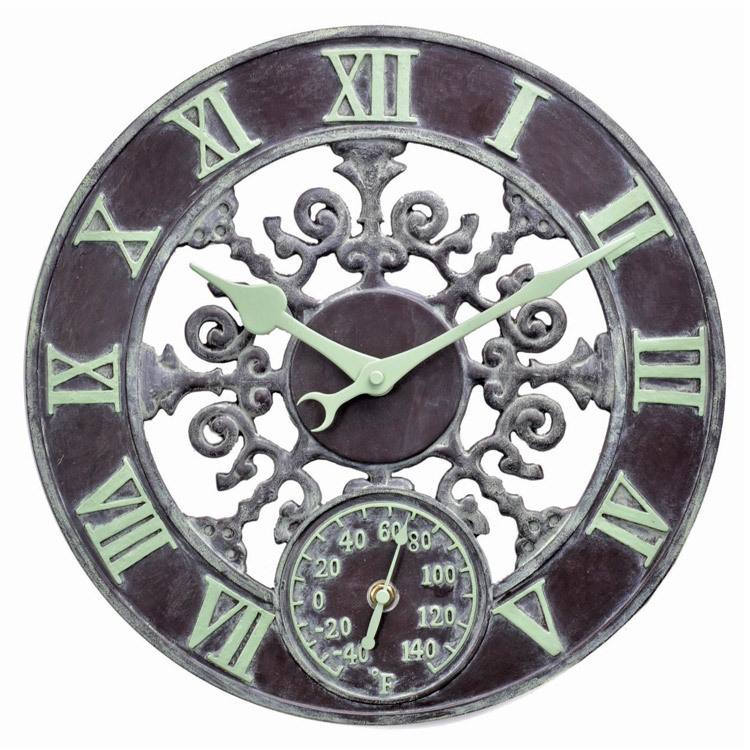 The antiqued verdigris finish on this clock combination makes it the perfect decorative accent to any deck or patio. Includes an integrated hang hole for easy wall mounting. Rachel is part of the Klockit committee responsible for finding and researching new products. She has helped review many of the products herself in order to understand what makes a great product for all of our Klockit customers.